As the leaves change, so should your beauty routine. 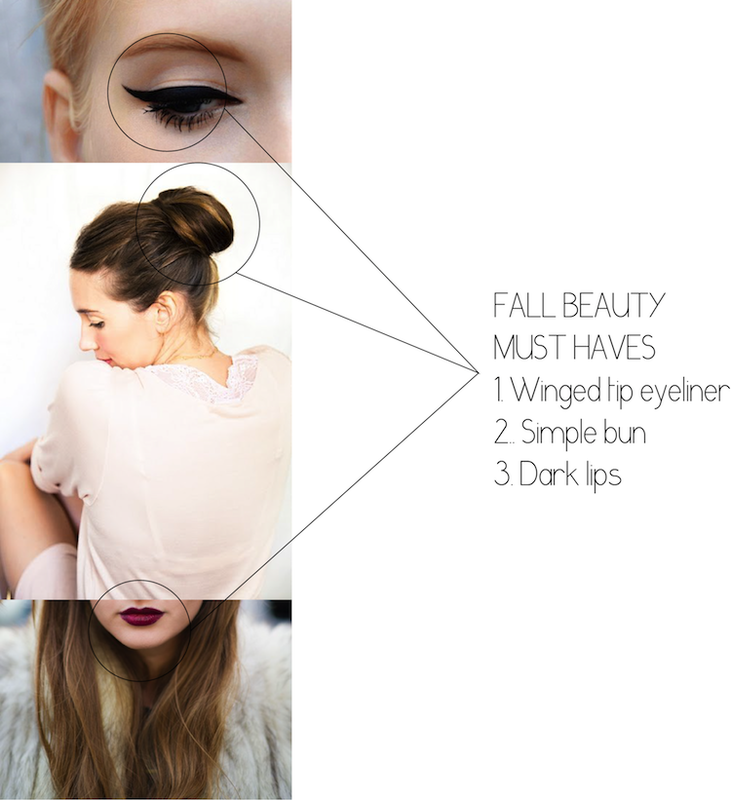 Here are three beauty must haves for fall that I will be working to perfect. 1. Winged tip eyeliner: We all know Lauren Conrad has perfected this look and Adele kills it but I'm looking to make this work everyday. With all the many tutorials available I am determined to master the art of eyeliner. 2. 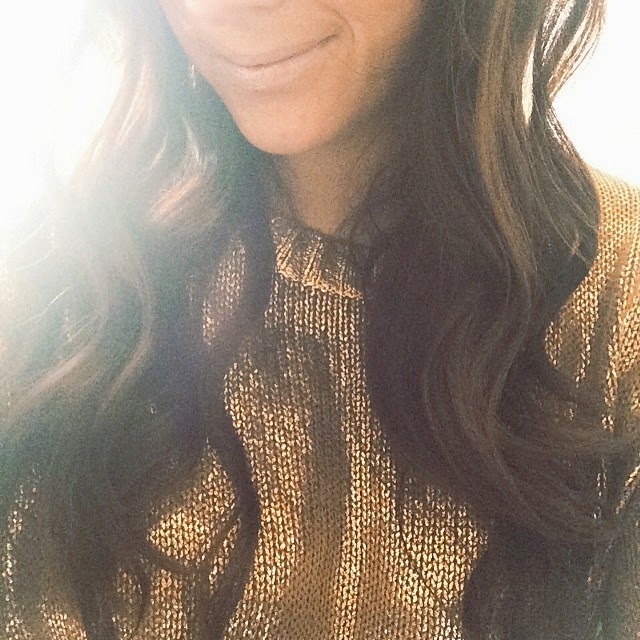 Simple bun: I have to admit that this look is already in my daily routine (typically day 3 of dirty hair) and will use throughout the season. 3. Dark lips: This is a stretch for me. Just last year, I started wearing lipstick and have fears of this dark lip color. The trick here will be finding the perfect shade that compliments my skin tone and the perfect formula that stays through the day. The perfect, and I do mean perfect, shade of darker lipstick is Clinique Black Honey. It is layerable so you can make it darker as you get used to the look.